How to Remove Shortcut Virus from Pendrive/Memory Card. How to Remove Shortcut Virus from PC. How to Remove Shortcut Virus in Usb. How to Remove Shortcut Virus from memory card. So today I am going to teach you ” How to Remove Shortcut Virus from pen drive/PC/memory card“. Here I am going to explain two methods. Using this two approaches, you can remove the shortcut virus from pen drive. One suggestion from my side is to buy best pen drives which have a chance of projecting itself without any virus. Here are some of them which I use really. 8GB Pen Drives Combo and 16GB Pen Drives Combo at very low price. Use this to store valuable data. 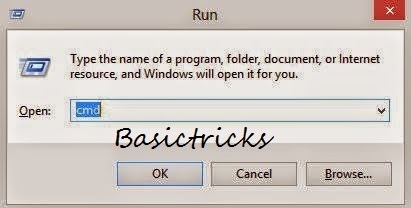 Remove Shortcut Virus with Command Prompt. Remove Shortcut Virus with USBFIX. Without wasting the time let’s go into the tutorial and discuss the method in briefly. Removing the Shortcut Virus from Pc, pen drive and memory card using the command prompt is very easy. Follow the simple steps to remove the shortcut virus using cmd. First, go to Start..>>Run. Then a pop up will be opened then type cmd and click Ok.
Now go to your Pendrive location and note down the drive letter. Here my Pendrive location is in F drive. In cmd window type del*.link to remove all the links files in the directory. After that you should type attrib -h -r -s /s /d f:*. * command and press Enter. Note: Please keep in mind Command to remove shortcut virus is attrib -h -r -s /s /d drive_letter:*.* . Please Don’t forget to change drive_letter with your Pendrive location. Here I have used F because my Pendrive location is F.
With this, your shortcut virus is removed from your Pendrive. Copy the original files from pen drive and paste it somewhere on your Pc. Now format the Pendrive to get the shortcut virus removed completely from Pc. Now you send the files to the Pendrive. Then you will not see a Shortcut virus present in the Pendrive. USBFIX is the best shortcut virus removal tool. Using USBFIX is very easy and with simple steps, we can delete the shortcut virus from the Pendrive. So simple follow the steps to remove the shortcut virus from Pendrive. First, you need to Download USBFIX and Install it. After instaling. Connect your External storage device like Pendrive, memory cards to your PC. Now click on Deletion option. It will remove all the shortcut virus from the external storage device which we connected and it will restart the computer. That’s it. These are the simple steps to do to remove the shortcut virus from the pen drive. So these are the two easy methods to perform n order to eliminate the shortcut virus from pen drive/PC/memory cards. I hope that this tutorial “How to Remove Shortcut Virus from Pendrive/Memory card” will help you to remove the shortcut virus.Mean while like the post and share with your friends. Feel free to as your problems regarding the tutorial. Step by Step Guide on How to Root Bluestacks?